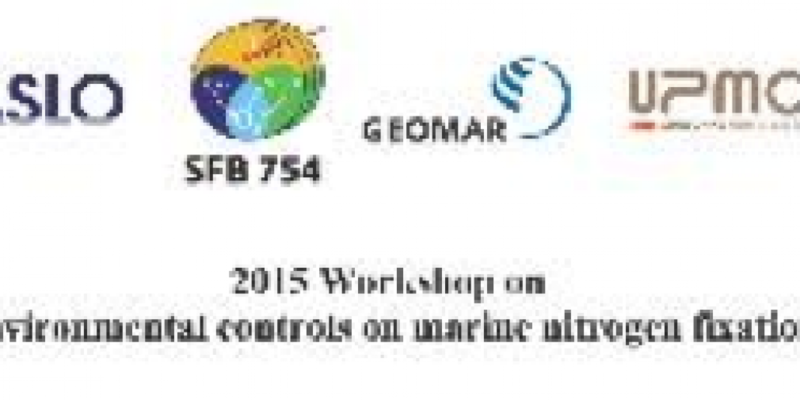 LOV and GEOMAR Kiel organized a one day workshop on Nitrogen fixation on February 22, 2015 in Granada, Spain. This event brought together 45 marine scientists from 11 countries to discuss the "Environmental Controls of marine N2 fixation". Plenary short overview presentations were followed with an open discussion on research priorities and open questions. The wide range of expertise - from molecular biology to global biogeochemistry and from cell to global scales modelling - stimulated dynamic and cross-disciplinary discussions. The group is currently working towards synthesis review papers to clarify the current knowledge and uncertainties, alongside finalizing strategies for collaborative research efforts. The Sonderforschungsbereich (SFB) 754 is acknowledged for providing the funding and ASLO for providing the workshop venue. Observatoire Océanologique de Villefranche sur Mer - designed by thomas jessin - 2015 © All rights reserved.